SouthLAnd First: SouthLAnd wins at 16th annual Prism Awards! SouthLAnd wins at 16th annual Prism Awards! Congratulations to SouthLAnd on its Prism Award for drama series multi-episode storyline. The awards ceremony was held April 19, 2012 in Beverly Hills, CA. The winning episodes were "The Winds", "Failure Drill" and "Graduation Day" written by Heather Zuhlke, Chitra Elizabeth Sampath and John Wells. The episodes were directed by Nelson McCormick, J. Michael Muro and Chris Chulack. Executive producers of SouthLAnd are John Wells and Chris Chulack. 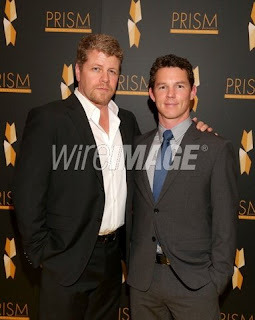 Michael Cudlitz and Shawn Hatosy at the event. 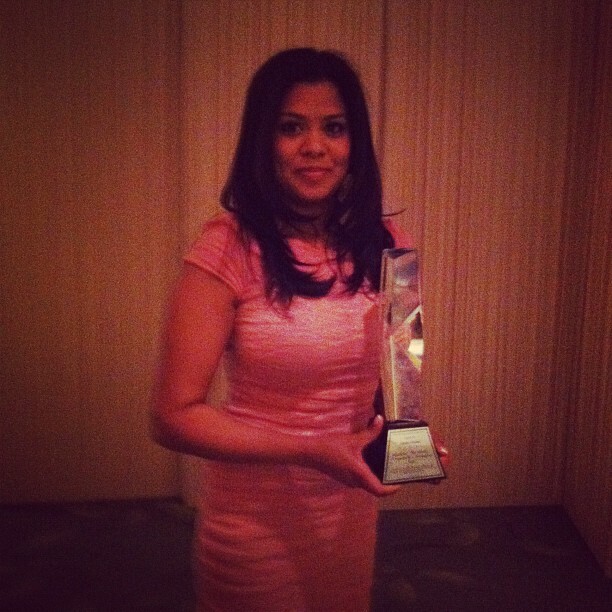 Writer Chitra Elizabeth Sampath with her award. Pic courtesy of Ms. Sampath. Congrats again to the entire SouthLAnd team!